Did you ever need to cut a wire, only to realize that it’s a lot more work than you bargained for? You need to cut it (no easy task in itself) and then file it to a rounded shape on the tips. Then there’s the job of tipping underwires, a whole new can of worms. You can use JB Weld or Epoxy Glue but it can take many hours of drying time (and many coats) to get a good bead on the tip. There IS an easier way. 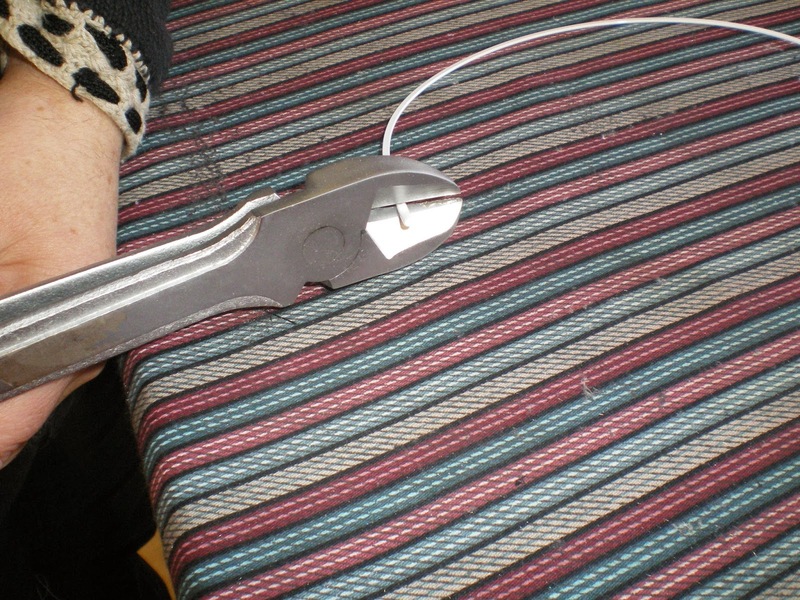 After you cut the wire (use linesman’s cutters or other sturdy wire cutters) you will need to round the wire end with a file (DH has a grinding wheel so he does that for me) and cover the end so it won’t wear through. 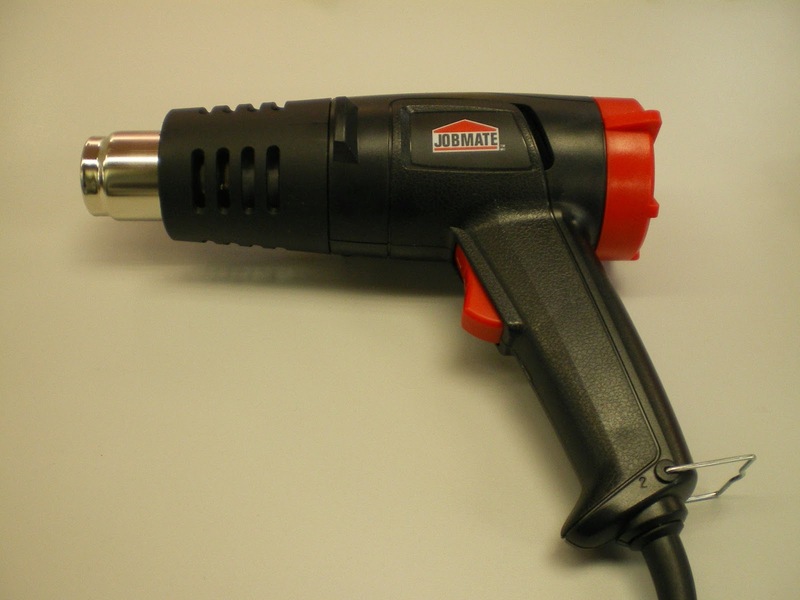 Use a heat gun (not a hair dryer – they normally do not get hot enough) to shrink the tubing around the wire. Not only does it shrink tightly enough that it does not come off in the washing and wearing process, but it also will slide into the channel very easily! This is pure Bra Magic! You can get the shrink tubing in colours too, so you can match the colour of shrink tubing to the original colour of the wire tip. The wire below was a #42 wire, and all wires that end in “2” are black, so I’ve coated this wire in black. 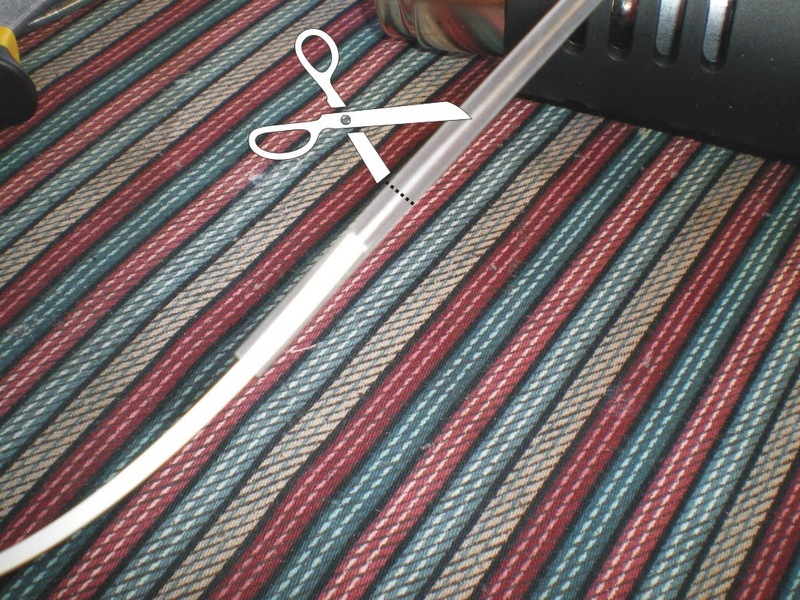 This technique also works for spiral or spring steel boning – just adjust the size of the heat shrink tub to fit over whatever you are trying to cap. 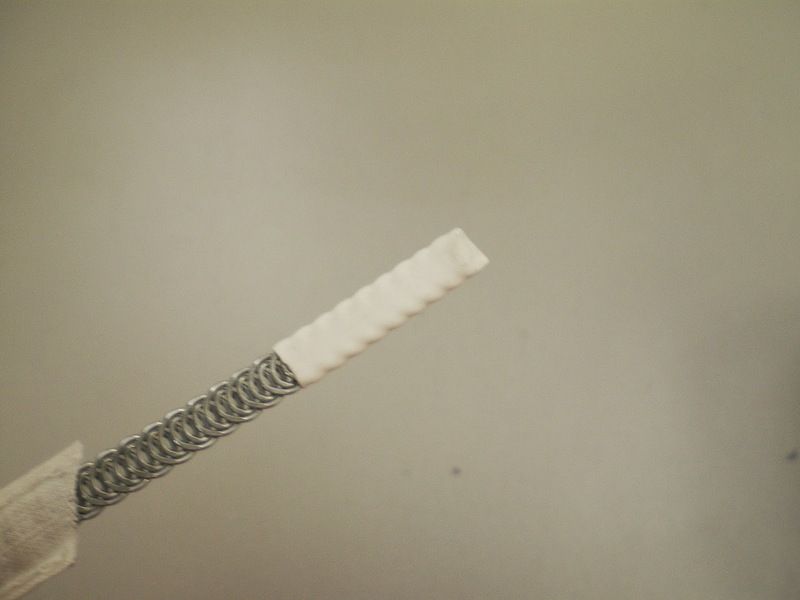 We use a larger diameter heat shrink tube for spiral boning ends. 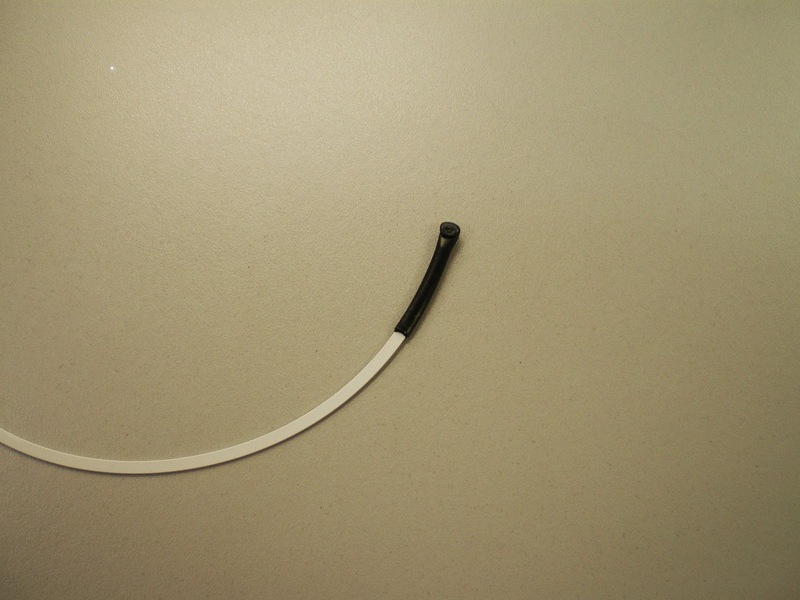 Where do you get this miracle shrink tubing for tipping underwires? You can buy it at electronics stores in 48” (1.2 m) lengths, or at Bra-makers Supply in easy-to-handle lengths of 12” (30 cm) The heat gun is available at Canadian Tire (14.99 in Canada) or at any good hardware store. Can a wire-free bra be uplifting?